What’s a light socket adapter? What’s a light socket adapter? light socket adapter enable light bulbs to be fitted to lamps or other light fixtures that are built with sockets of varying sizes. These light socket adapters essentially work as interim sockets that, once screwed into a fixture’s own socket, allow for such fixtures to use either larger or smaller light bulbs than what they have been built to hold. 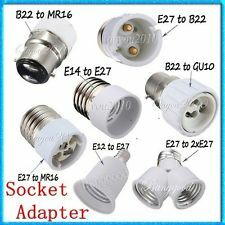 light bulb socket adapter that allow for the fitting of smaller bulbs are called ‘socket reducers’ while those that enable the use of larger bulbs are called ‘socket enlargers’. This light socket converter (Bayonet to screw) works well as long as you do not have older light fittings/connections. The depth between the bayonets is not long enough when compared to a bayonet bulb for example, it is only a couple of millimetres but it makes it impossible to fit when: The light shade has a thicker than a couple of millimetre holder, or the plastic screw in fittings/connectors on the light are of the longer type. 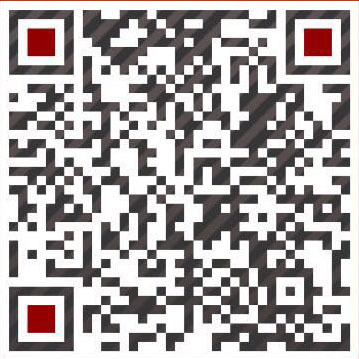 B15, b22, e12, e14, e27, e40, g24, g9, gu10, mr16. B22 to E40 – 80mm high by 48mm. B15 to GU10 – 54mm high by 35mm wide. B22 to B15 – 44mm high by 27mm wide. B15 to E14 – 32mm high by 17mm wide. 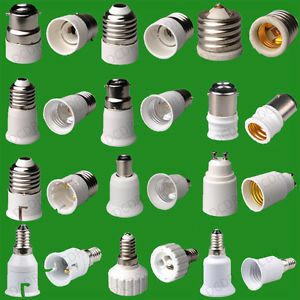 many types of light socket adapters have been invented to take advantage of the availability of the lamp socket. 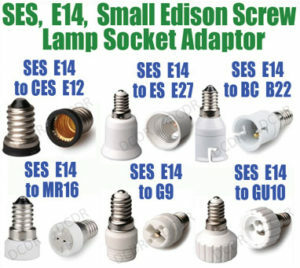 Common types include the lamp holder adapters that screw into the lamp socket and convert it into a wall outlet. This is particularly convenient when installing outside Christmas lights when a standard outlet is not available. Other types convert the light socket into a switchable outlet while still allowing for the use of the light bulb. Smoke detectors have also been designed to connect to the porcelain lampholder without interfering with the light bulb’s operation. Next: What’s the Lamp holder rated voltage?
? What’s the Lamp holder rated voltage?
? What’s a light socket adapter?